Essential Tremor is the most common movement disorder in the world, and affects between 4 and 40 people per 1000 of the population amongst all ethnic groups. Characterised by shaking hands, this disorder can affect the head, voice and legs, and is often made worse by physical and emotional stress. 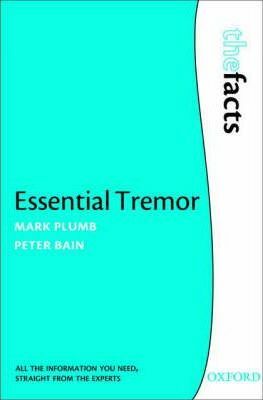 Essential Tremor: The Facts provides a comprehensive guide to understanding this disorder and minimising its impact upon the lives of sufferers, their friends and families. It begins with a close look at what essential tremor is and how it should be diagnosed, as well as details on who gets the disorder, the causes, and how it affects sufferers day-to-day lives. Current treatment options are covered, along with patient advice on how to cope with the stigma of essential tremor, as well as the disability and social handicap it invokes. The book concludes with a chapter on the future and prospects of a potential cure. Mark Plumb is a geneticist who has had Essential Tremor since childhood. He has a career in cancer research, concentrating on genetics in radiation-induced leukaemia. Peter Bain is an international authority on tremor, movement disorders and deep brain stimulation.